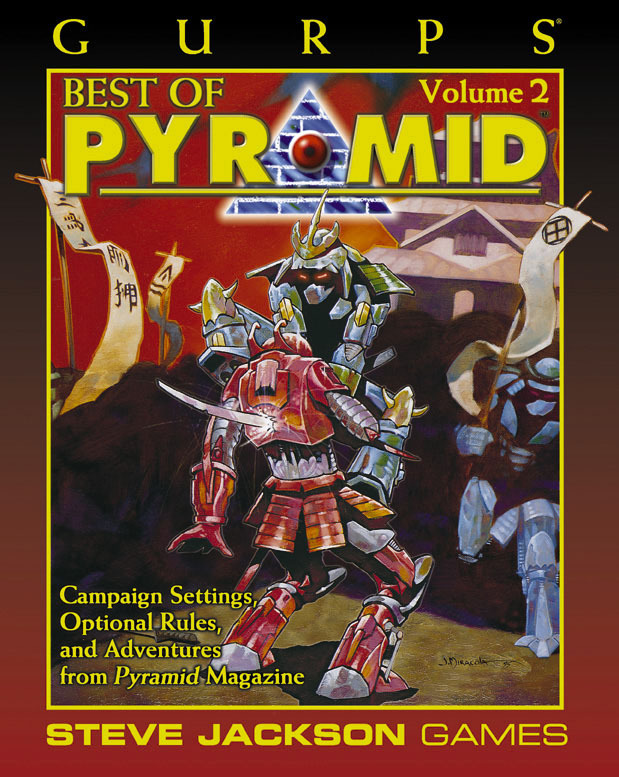 GURPS Best of Pyramid 2 includes the "Unlimited Mana" variant rules, "The Hole" – one of the most requested articles ever, straight from Pyramid #1 – plus the complete run of Terra Incognita and Warehouse 23 features from the paper edition, and lots more! 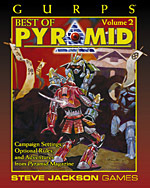 GURPS Best of Pyramid 1 – The popular campaign setting "Sprockets," high-powered rules like "Brain Hacking" and "Willful Weapons," source info like "Low-Tech Economies," and unique adventures like "Trespasser's Isle" (zombie horror) and "Time of the Tyrants" (dinosaurs! ).